Do you find creating sales copy hard? Feel confused and lost when you try to write it? Frustrated because you don’t know how to really ‘sell’ what you do? If so, you’re not alone. Many small business owners struggle to write convincing sales pages, emails, brochures and social media posts and ads. As a result, the hard work they’ve put into creating their products and services goes unrewarded. It’s disheartening, frustrating and undeservedly leads to too many businesses missing out on sales. But it doesn’t need to be that way. In this live masterclass our founder, award-winning copywriter Hannah Martin, will reveal the secrets of writing sales copy that converts. She’ll lift the veil on the secrets of high performing copy and teach you how to structure and write your own sales copy. What will you learn in this masterclass? After watching this class you’ll be able to write powerful headlines and carefully structured sales copy that connects and convinces. So you can start bringing in the sales your business deserves. How can you join the class? This online class takes place live at 10am UK time on Thursday 28 March and costs £30. But don’t worry if you can’t make the live class. Everyone who signs up to the class will receive a recording of the class to watch afterwards, plus a copy of the class slides, which contain useful research and examples. 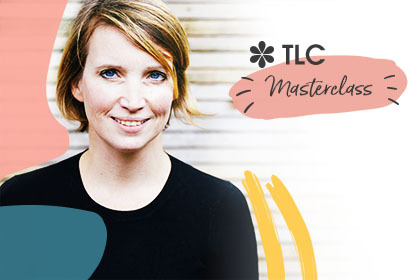 This class is taught by Hannah Martin, the founder of Talented Ladies Club. Hannah has over 22 years of award-winning copywriting experience, and has worked at some of the world’s top advertising agencies. Hannah’s former client list includes Google, HSBC, Waitrose, Ford, Bacardi, Nissan, UNICEF, The Army, BT, Sony, American Express, Cadbury’s, The Guardian, The Sun, Royal Mail, Costa Coffee and many, many more. So if you’re tired of struggling with your sales pages, emails, ads and social media posts, and are ready to start selling more in your business, secure your place on this class – and learn the secrets of writing professional sales copy. Just think how many more sales you can make in future with what you learn – all for the investment of £30 today.